This week we launched our newly redesigned website, we’ve streamlined the content delivery and included all sorts of goodies like our 2-year Anniversary Infographic, Partners Program, and a brand new compilation video. 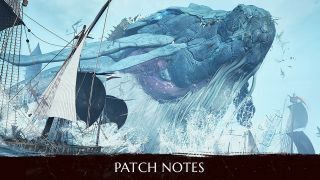 Highlights for this week’s patch include the addition of a new reward system for the Red Battlefield, the version 2.0 launch of everyone’s favorite Black Spirit’s Adventure game, and the return of the Ancient Relic Crystal Shard drop event for all you fishers! ◈ The Ancient Relic Crystal Shard Drop Event has begun! • During the event period, simply begin Fishing for a chance to hook an Ancient Relic Crystal Shard in place of a fish! •Event Period: March 7th After Maintenance - March 21st Before Maintenance. ◈ Black Spirit’s Adventure 2 has been added. • Are you ready for Season 2 of your favorite mini-game? The Black Spirit’s Adventure game is back with a brand new look! • Event Period: March 7th After Maintenance - March 21st Before Maintenance. • Press ESC to open up the menu and find the Black Spirit’s Adventure 2 button. • Use “Moves” points that fill up every hour to explore and find treasures all over the web-board game. • You will consume 1 ‘Move’ point each time the Black Spirit moves a space. -You will recover 1 Move per hour, and the maximum number of ‘Moves’ you can retain at your disposal is 3. -However, you can recover up to 10 ‘Moves’ in a day. 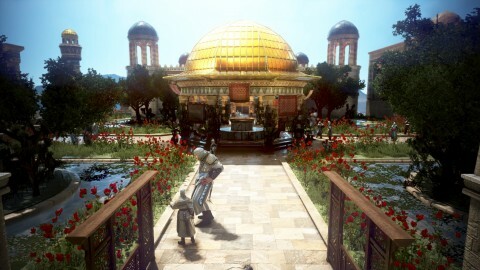 • You can engage in Combat, Gather, Explore, Excavate, or Rest in these circular ‘Nodes’ you find on the board map. However, if it is a Node which you have recently performed action on, there is a cooldown before you can re-visit. ◈ [Event] Appreciation Gift for New Adventurers! • If you are new to the game and missed out on the [Event] Appreciation Gift last week which rewarded all of our users with a complementary boss gear item, you are in luck! 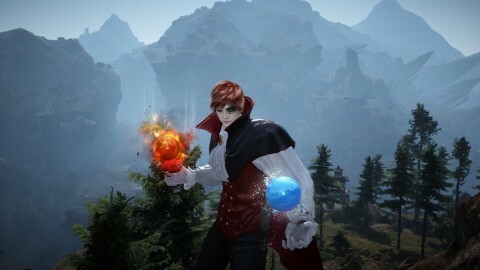 New Adventurers who have joined BDO for the first time from Feb. 28th, 2018 after maintenance to March 7th, 2018 before maintenance will also receive an [Event] Appreciation Gift! • Please check your in-game mailbox to claim your [Event] Appreciation Gift. • Please claim your [Event] Appreciation Gift (sent on March 7th) before maintenance on March 21st, 2018. ◈ The [Event] Appreciation Gift sent on Feb. 28th to current Adventurers are claimable only until March 14th, 2018. 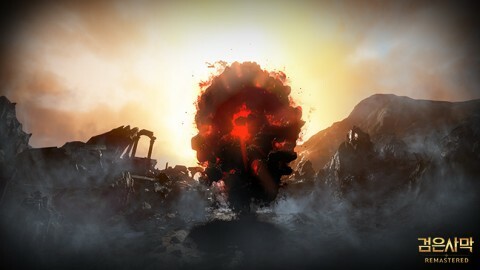 • Adventurers between the levels 1 and 49 will now be able to receive Combat EXP and Skill EXP as a reward for participating in the Red battlefield with restrictions to AP/DP & Level. - Both the winning and losing teams participants will receive Combat & Skill EXP once the battle has ended, however, the amount received is higher for the winning team. • Silver Coins have also been added to the available rewards for Red Battlefield. - The coins will be rewarded based on the combined total of the participant’s AP and DP. 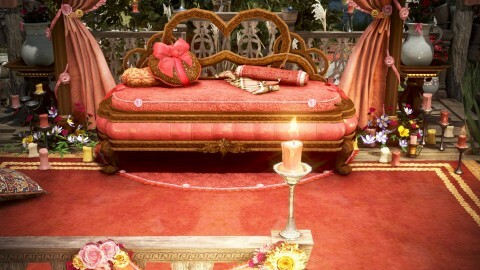 - The AP + DP Calculation will be based on the Main Weapon of the character. ◈ To prepare for a renewal, Final Battle is now temporarily unavailable. • Therefore, the button for Final Battle has been removed from the UI. 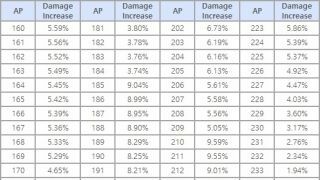 ◈ The Arsha PvP server’s AP efficiency, in general, has been buffed to match the AP efficiency on normal servers. • Please Note: The PvP DP efficiency has not been changed and will remain as is. ◈ Changing servers is now unavailable while reading a book. • However, changing your Character in the same server will not affect reading. ◈ You will no longer be able to use the skills registered in a Quick Slot when the skill is not Quick Slot available by default. 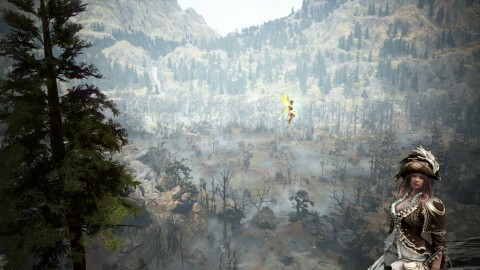 ◈ The dragon flying around North Kaia Mountain has suddenly disappeared without a trace. ◈ Fixed the gravity defying floating rock around Manes Hideout. ◈ Fixed the issue allowing some resources to be Gathered twice in some areas in Valencia. ◈ Fixed the issue where Adventurers could cut down certain trees twice in the Battle Arena. ◈ Fixed the issue where users could not cut down certain trees in Balenos Forest that were found by Pets specialized in finding resources. ◈ Fixed the issue where the sunrise above the horizon was not properly radiating off the red glow. ◈ Fixed the issue where Black Shadow hovering over the Trina Fort would occasionally fly too close to the ground. ◈ Fixed the issue causing the location of the island of Arena of Arsha to not display properly on the loading screen while entering Arena of Arsha. ◈ Fixed the issue where some areas in Valencia allowed Gathering to be places twice in a row. ◈ The object that appears to be floating in midair in Luivano Island has been brought down to ground. ◈ Fixed the issue where characters could not board the [Guild] Galley, Epheria Sailboat, Epheria Frigate, and Old Bartali Sailboat using the ladder of the ship if the character was carrying trade goods. ◈ The System message that appears when you “Remote Collect” a mount on land has been adjusted to be more clear and direct. ◈ The default camera position will now be closer to your Character when riding on the back seat of a two-seater horse. ◈ Fixed the issue where Gender Filters would not always work in certain situations on the Horse Market. ◈ Fixed the issue where Diné’s mane and equipment would overlap. ◈ The skill Rage Absorption and Fury Transfer can now be locked. ◈ Fixed a graphical glitch on the armor set “Marod Star” that was located near the pelvis and was triggered by certain character customization presets. 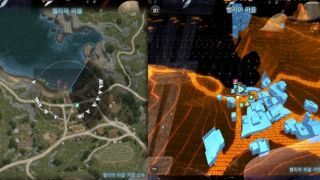 ◈ The visual effects of the skills Meteor Shower and Blizzard, when the game settings are set to low graphics, will now display more smoothly. ◈ Fixed the issue where a character’s hair would look like it was hovering in the air, when the hair configuration was in a “Tied-up” style in the character customization screen. ◈ Fixed the issue that caused more than 30 Martial Shards (the intended maximum amount) to be collected. ◈ Fixed the graphical issue where Mystic’s Le Vladian Underwear went through Kibelius Outfit when they were put on together. 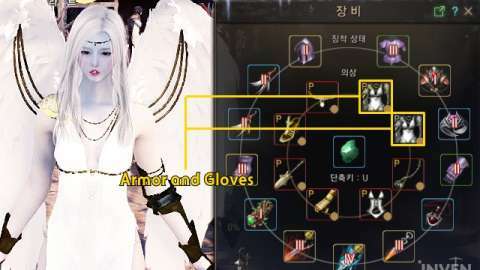 ◈ The number of slots available for dyeing Kibelius Divinus Armor’s Gloves has been changed from 3 to 1 slots. ◈ You may now exchange one type of Asula’s Weakened Magic accessory for another. ◈ Altinova Jeweler Belgar and Sand Grain Bazaar Jeweler Binvane will now be able to exchange Asula’s Weakened accessories. 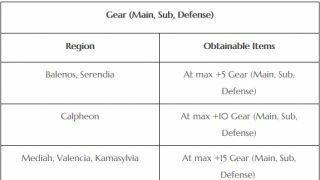 • The description on Asula’s Weakened accessories has been modified. -Text regarding exchanges, <Where to Obtain	> and <Exchange Location	> will be shown. -New NPC for exchange will be shown under <Exchange Location	>. ◈ Asula’s Weakened accessories have been adjusted so that multiple Asula’s Weakened accessories can be exchangeable at once. ◈ The descriptions for the Black Essence items available for Imperial Delivery have been improved. 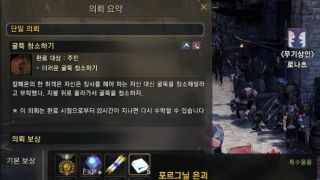 ◈ The description of the mount gear that can be enhanced with Concentrated Magical Black Stones (Armor) have been improved. -[Event] Oh, My Lovely Jarette! -[Event] Ah, My Ideal Partner! ◈ The Monsters that took great joy in blocking and attacking characters who were on auto-run from Ancado Inner Harbor to Shakatu have now been instructed to move to another area. 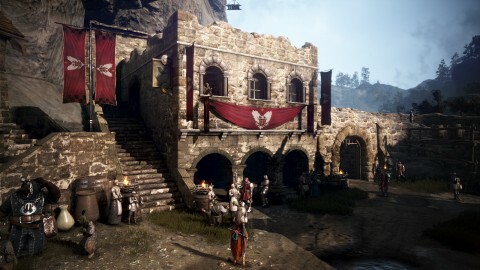 • They were not pleased and are currently petitioning the developers to let them return to their former shenanigans. ◈ The period of time to obtain items has been extended to at max 10 minutes after defeating World Raid Boss. ◈ The monsters in the Fadus Habitat will now drop Yuria weapons, Bares weapons, and Swaying Wind Shards. 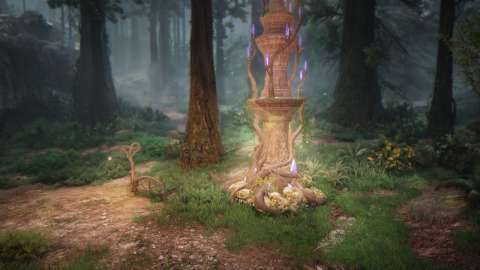 ◈ The overall camera shake effect experienced when the Degraded Old Tree Treant and the Degraded Ruins Tree Treant of Mirumok Ruins are moving has been reduced. 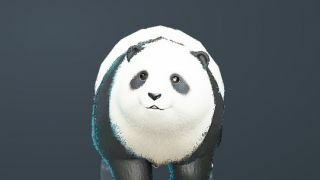 ◈ The number of targets hit by the World Boss, Karanda, has been reduced by 66% and the damage per hit has been increased by 200%. ◈ Fixed the issue causing characters to become intermittently stuck in the Helm Tribe Mine or the Argos Artifact Repository. • The Recommended AP has been changed to 130-190. • The HP of the monsters in the region have been reduced by around 50%, and their DP by around 14%. 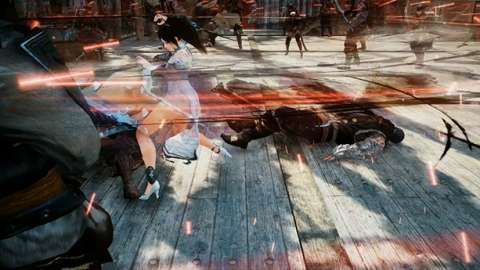 • The obtainable Combat EXP received from defeating the monsters there has been reduced by around 20%. • Less junk items will be dropped by the monsters. • The drop rate of the miscellaneous items that could be received in the area has been reduced by around 20%. ◈ The normal attack range of Tutuka monsters has been increased by roughly 30%. ◈ The chase speed of the monsters found in the Hystria Ruins has been increased. • Additionally, these monsters (excluding Elten and Tukar Balten) will no longer use ranged attacks. ◈ During quests that require you to examine objects, on-screen guide for Q/E keys for zoom in and out will no longer appear when zooming is unavailable. 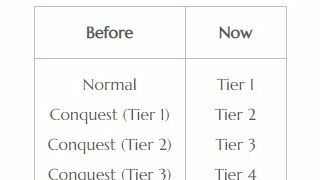 ◈ Quest acceptance requirements have been changed for the following so that these quests cannot be completed at the same time. ◈ The quest ‘Chuck Laurie the Hunter’ has been changed from a recurring quest to a normal quest. ◈ Fixed the issue causing the Mirumok Ruins on the minimap to display a question mark when you do not have the knowledge entry for Treant Old Tree. ◈ “My Information” (P) has been redesigned. • You can now see profile picture of your character. • Professions (Life Skills) will be displayed on top center of the window. 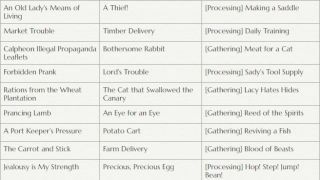 • You can see the detailed figure of Life Skills EXP by putting your mouse over the relevant Life Skills. • “Enhancement” of My Information (P) has been renamed as “Ability”. ◈ Notifications and Pre-orders have been added for items that are currently not registered on the Marketplace. • Using the Notice button, notifications of items will be set conveniently without having clicked the relevant items’ lists. ◈ A “Receive All” button has been added to the “My Listings” window in the Marketplace. • If an item lot is in Midway Settlement (now called Partial Collect), money from the portion of the item lot that has already been sold will be collected and the leftover portion will remain in the Marketplace. ◈ You can now choose to keep the last Marketplace notice via the Marketplace Registration Notice window. • If you check the box to leave the last notice, the notice will not disappear even after the time for normal autoclosure has passed. • Please note: If you have subscribed for notices on multiple items, when another item’s Marketplace Notice appears, that last notice will remain. ◈ A Pre-order indicator will be applied and shown when an item you have set for Notification is sold via Pre-order on the Marketplace. ◈ The Marketplace notifications will no longer be reset when you open a window that reloads the game display (ex: Character Selection, Server Change). ◈ Fixed the issue that caused the mouse cursor to not appear when opening the Nearby NPC window via a Quick Hotkey. ◈ Description of Set Guild Expenses (now called Set Allowances) has been aligned properly to look more natural. ◈ Only the Guild Master of a guild will now be able to see the guild expenses (Allowance) for other guild members. • All other guild members will only be able to see their own guild expense allowance which will be shown as “Allowance”. 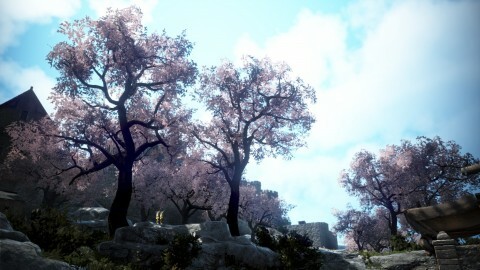 • “Guild Expenses” has been renamed to “Allowance”. • Current, Previous, and Next Page. ◈ Fixed the issue where the Equipment window remained open when you open the Processing window from the Inventory and then closed the Inventory window. ◈ Adjusted the placement of the text that appears when there is no Ranking information for the Red Battlefield in the Ranking window. 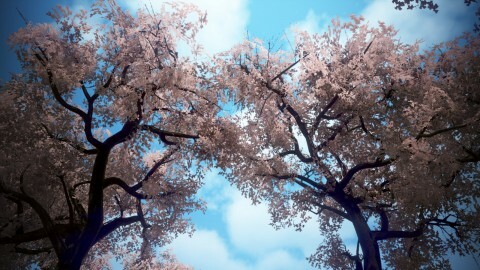 ◈ Fixed the issue preventing the saving and loading of game settings properly after changing the Photo Filter. ◈ Fixed the issue preventing you from closing the World Map by pressing M or ESC if you started a mini-game while the World Map was opened. ◈ Fixed the graphical issue where the certain effects of the Savage Rift would disappear intermittently. ◈ Fixed the issue where monster count was intermittently recognized as less than 6 when a player was pulling aggro.